If you missed our annual Tomato Plant Sale, don’t worry. 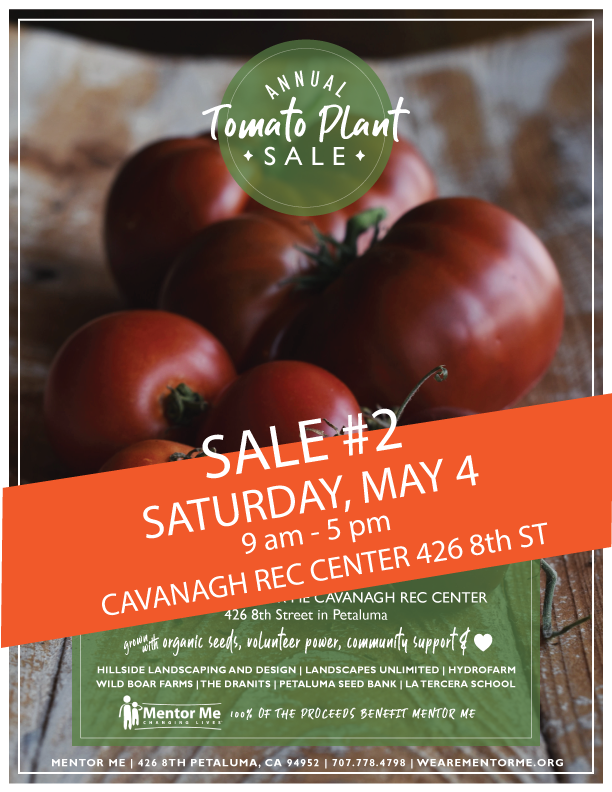 We will be having a follow-up sale on Saturday, May 4, from 9-5 at the Cavanagh Rec Center. Tomato plant seedlings have grown slowly this year due to cooler temperatures, so we’ve got lots of tomato plant starts continuing to grow in a greenhouse for the next sale. There will be 18 varieties, all grown from organic seed, including a few heirlooms such as Cherokee Purple, Black Krim, Stupice, and Carbon. Support Mentor Me and purchase some beautiful plant starts for your garden!